Turkmenistan is located in Central Asia and is one of the five littoral states of the Caspian Sea. Turkmenistan shares land borders with Kazakhstan, Uzbekistan, Afghanistan and Iran and has a population of over five million. Turkmenistan’s hydrocarbon industry is a vital component of the country’s economy. In addition to its oil resources, Turkmenistan boasts the world’s fourth largest natural gas reserves and is Central Asia’s largest natural gas producer. Turkmenistan is strategically located to serve growing energy markets in China, India and Europe. 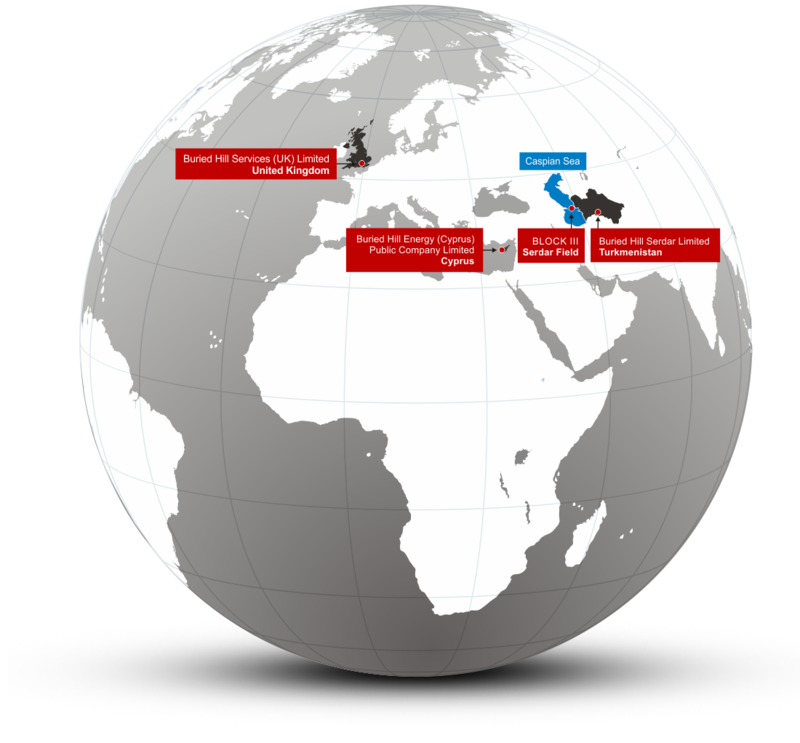 Other international energy companies currently operating in Turkmenistan include Dragon Oil, Petronas, Eni and CNPC. 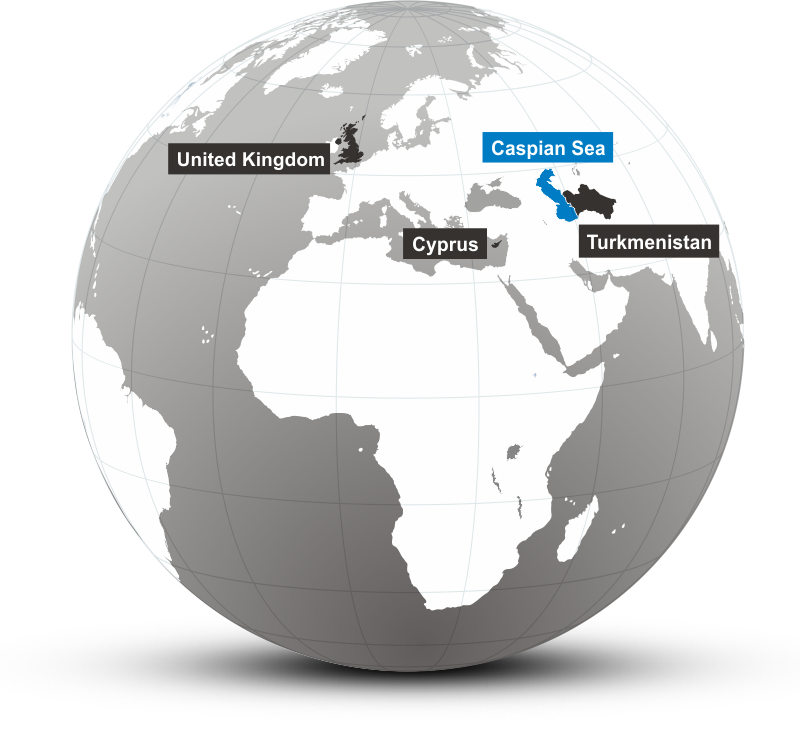 In November 2007, Buried Hill signed a Production Sharing Agreement and was issued an Exploration Licence for Block III operations in the Caspian Sea, which includes the large Serdar oil discovery. 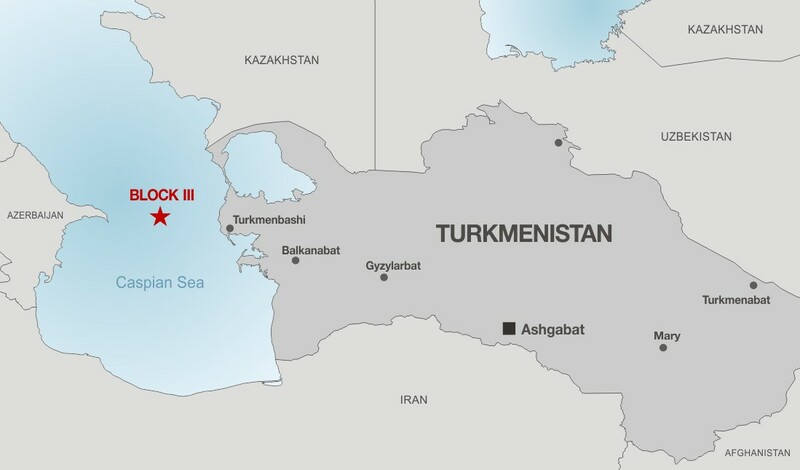 The Serdar oil field is on the prolific Apsheron sill in the Caspian Sea, and is adjacent to and a direct analogue to the multi-billion barrel fields operated by BP (over 3.2bn barrels of oil produced to date and an additional 4.2bn barrels recoverable by 2050, according to the operator). Serdar was discovered and tested by three Soviet-era wells. Since being awarded the block by Turkmenistan in 2007, Buried Hill has completed a field interpretation based on 2008 tight-grid 2D seismic survey and 2012 partial 3D seismic survey. The Company has also prepared a development concept modelled on the adjacent fields, with the final development plan subject to full appraisal of the field. However, as the Serdar field remains the subject of a boundary dispute with Azerbaijan, the Company is awaiting a political resolution before it can continue with full appraisal and development. The Company is encouraged by the strengthening of regional relations and in particular the strategic partnership declared by the Presidents of Turkmenistan and Azerbaijan in August 2017. In addition, the Caspian Convention signed in August 2018 by the five Caspian littoral states is a significant diplomatic breakthrough and represents a major achievement following more than 20 years of negotiations. Buried Hill is hopeful that operations can recommence in the near future and stands ready to proceed quickly when resolution is achieved.